Membership forms can be placed by printing out and completing the following order form. Your completed order form can be mailed or dropped off at Spirit Lake Chamber of Commerce. The Spirit Lake Chamber is often the first place people turn to on where to obtain goods and services. Annually, we direct hundreds of callers to our Chamber Members. The brochure rack at the Spirit Lake Chamber Office is available to promote Chamber Member Businesses at no extra charge. The Spirit Lake Chamber website (spiritlakecc.com) offers free listing and links to Chamber Member Businesses. Thousands of hits each year ensure that visitors look to Members first. Each new resident that moves to Spirit Lake receives a New Resident Welcome Packet promoting Chamber Member Businesses that have provided information, brochures or coupons for the packets. Network with your peers and business prospects at events or committees sponsored by the Spirit Lake Chamber of Commerce. Sponsor community and retail events to promote Spirit Lake and the business community. The Spirit Lake Chamber works with groups such as the Iowa Lakes Corridor Development Corporation and the Spirit Lake Industrial Board to develop new business and help with current business retention and expansion. The Spirit Lake Chamber of Commerce offers many volunteer opportunities, from serving on the Board, task forces and committees, to helping with the various events offered. 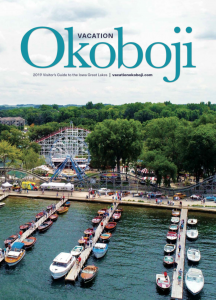 Spirit Lake Chamber of Commerce works hand in hand with Okoboji Tourism, the Iowa Great Lakes Area Chamber of Commerce and other entities to promote Spirit Lake and the Lakes Area to our visitors. The Chamber works with the City on betterment issues such as Trees Forever, City Wide Clean Up days, possible banner program, corner of Highways 9 and 71, among others.